Emphasizing oral mastery of the language by thinking comprehensively and creatively in English, students will develop confidence and fluency through a number of contemporary dialogues. The text teaches pronunciation, grammar, and conversational skills by utilizing everyday language patterns.Recordings of native speakers will be available for this volume. After thirty years of proven success, the newest edition of Dr. William Samelson’s pioneer ESL methodology has arrived in an original 5 book series. 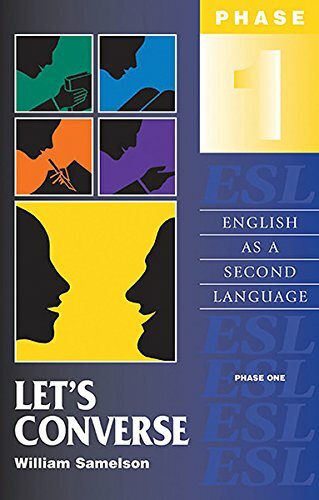 Offering the most complete system of ESL teaching, the Let’s Series is an effective learning tool for both student and teacher. Practical in its arrangement and method, the Let’s Series simplifies the teaching and learning of English as a second language. If you have any questions about this product by ElStreet Educational, contact us by completing and submitting the form below. If you are looking for a specif part number, please include it with your message.